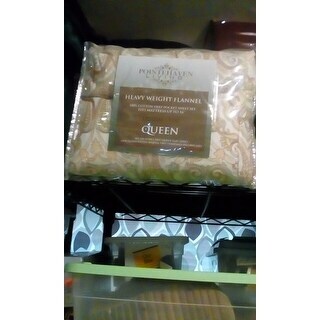 Sheet set came exactly as shown in the picture. Quality seems very good and it feels soft. We are pretty satisfied so far. Time will tell how durable is this set. Add color and warmth to your bedtime routine with this chic flannel sheet set. 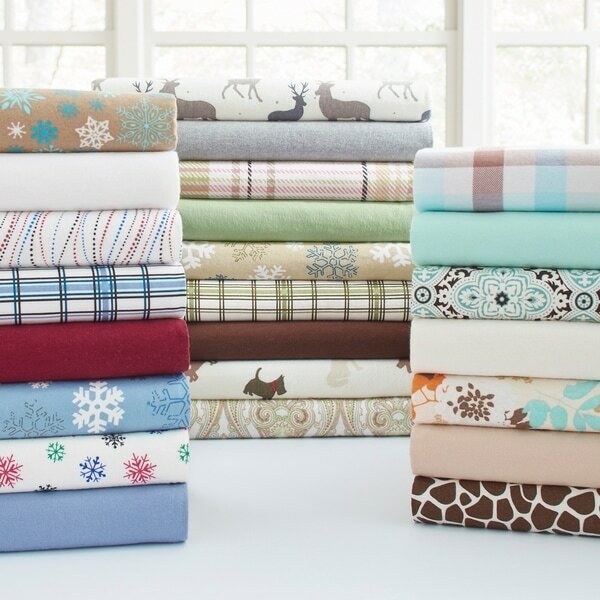 The set is crafted from 100-percent cotton flannel, the soft, dense fabric designed to add a cozy feel to your decor. Available in rich solid colors or fun patterns, this set will beautifully accent your bedroom decor. They are just as described. They are heavy flannel and fit the corners of my bed that has a 3 inch pad on the mattress. Highly recommend them. Hubby loves sleeping on these even in the summer. I needed a 14 inch pocket and this fit perfectly. The sheets are really nice and warm. I've washed them several times and they did not shrink or pill. Washing instructions said to wash in cold water, and that's what I've been doing. The colors are bright and have not faded. They fit perfectly on my 17 inch mattress. Yes, heavyweight flannel and oh so soft. I especially like these sheets because they have elastic all the way around, not just on corners. Queen size fits great, and I have a 2 inch memory foam topper on my mattress. Most amazing flannel sheets ever. They do not pill. The pillowcases are generously sized with the inner flap to hide the pillow. Hard to find deer print without Christmas theme. I bought a queen for double sized mattresses and they fit perfectly. 100% cotton will continue to shrink over the years so I'm not worried about an extra inch or two. This company is high end all the way. We use our flannel sheets all year and they've all come from Overstock. These sheets are just ok. I bought them online because I had trouble finding twin x-long sheets in the store. They were a bit expensive and the fabric is pilling quite a bit. Came a week later. Again, I should have shopped around, cheaper at other website with $10 coupon. Have not used it yet. I bought this because it says heavyweight flannel, but it doesn't seem to be thick and soft enough. I like the dimension of flat 70 x 104. Let's see, I'll wash it and will keep you posted. This product is from Pakistan and of ok quality. If you are looking for something that will last a long time, get 190 weight flannel. This weight is average weight and will be ok. For a little more money, get the 190 weight. Sheets were ok, but not nearly as smooth as some other flannel sheets I have purchased. They are nice and heavy though and really warm. I just prefer the smoother ones. I bought these sheets because it seemed like a decent deal. They are much nicer than I expected. Not thin, but not too heavy. They don't shed a lot of fuzz and didn't shrink after several washes. The color didn't fade either. I'm going to buy some for my niece now. I highly recommend them. These flannel sheets are so many things. I will start with this, soft and comfortable and cuddly and warm and pamper. I feel spoiled now that I have these flannel sheets on my bed. I say go head and try them you will always want to buy them. I just gave these sheets to my mom as a gift. I wanted a good quality, deep pocket flannel sheet set. 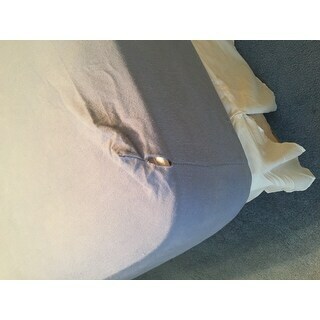 We washed these sheets last week and put on her bed for FIRST TIME yesterday and a corner seam is torn. I was so disappointed. The sheets are thick and soft, I couldn't be more pleased. I purchased 3 sets and all are of top quality materials. Highly recommend. When purchasing flannel sheets, it is not thread count you consider, but weight in GSM or OUNCES. GSM is grams per square meter and the higher the GSM (or ounces) the thicker the fabric. When talking about microfiber, the higher GSM means thicker, more absorbant, such as in towels. But with these sheets it relates to thickness, softness and durability. It is often confusing when trying to compare sheets to understand what is an actual comparison when some are measured on one unit and others are measured in another unit. It is easy to make the conversion to know exactly what you are looking at by using a calculator, such as http://www.ginifab.com/feeds/ozyd2_gm2/. In any case, you can know 170 GSM is equal to 5 ounces. I used to consider 5 ounces the better quality because standard flannel available at most department stores was 4 ounces. I was excited to find the 5 ounce. In today's world 5 ounce seems standard and the more luxurious is now 6 ounces and higher. But, you pay more. So, for these 5 ounce sheets, they are good quality for the price. They come in lots of choices of colors and patterns to satisfy most decor. To call them "heavyweight" is correct, but relative for today's shopper. Still, they are a good value and feel and will make most picky sleepers happy. Ok... not as think as I would like but still warm and attractive. It does have a large stitch where my legs rest. It doesn't bother me so much but I do feel it every once in a while. I was thoroughly delighted with the quality of these sheets. 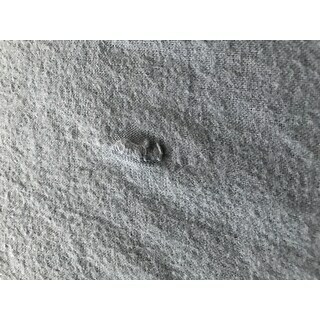 They fit my mattress perfectly without undo pressure on seams. I recommend purchasing these sheets. Not sure how deep my bed is, the pockets fit great! Of course they are soft and warm. There is definitely a difference between regular and heavy weight flannel. I slept my previous sheets to pieces. They are now dust cloths. They lasted 10 yrs. I'm sure these will surpass the others. Great sheets! Soft and heavyweight as described. Fit to our sons pillow top full sized mattress is perfect and tight, unlike others that have a lot of slack. Love these sheets and will buy them again. Very soft..nice material.. they wash well too.. Decent quality for the price! Nice heavy flannel. Seems durable only time will tell. Fit well. Bought these as a gift for my sister since I will be visiting her and she does not own Flannel Sheets. Very happy to take advantage of sale price. These sheets are very soft and plump. Have not washed so can not comment on result. The Starburst print is a white background with red, purple and green circles made from a motif pattern. Let me know if you need additional information. "What is the name of the pattern that has orange and aqua blue?" That option is called winter breeze. "None of the sizes show a picture for "paisley". Can it be added?" The paisley image will be added under 13980604. "What colors does Ankara come in?" Please see the last image in the image carousel to see color labels. "Does Paisley come in more than the one color shown?" No, but it is a pretty colors that goes well with taupe or green. I really like the pattern and color. "Is the King Blue you have listed the Dusty blue?" Yes I Love my set. "Which is the winter breeze cause the picture doesn't say?" I believe its' the one with the orange, light blue and dark brown leaves on it.